Raita is an easy side-dish made with yogurt(curd) mixing it with onion or any other vegetables. 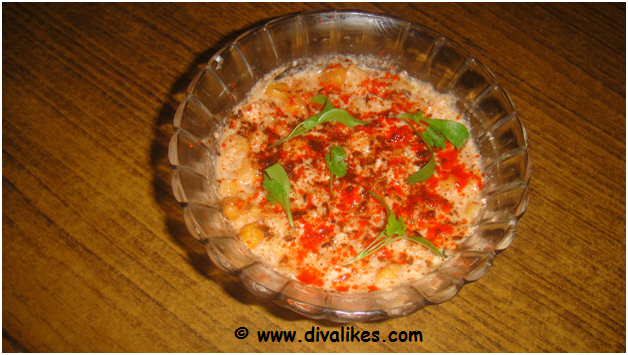 Boondi raita is a variety of raita in which tiny balls of fried gram flour are mixed with curd and other spices. It will be perfect with any spicy dish. We had it with paratha. 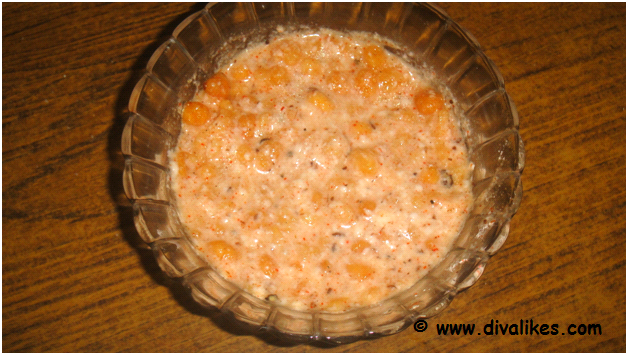 I used the home-made boondi to make this raita but we can use store bought also. 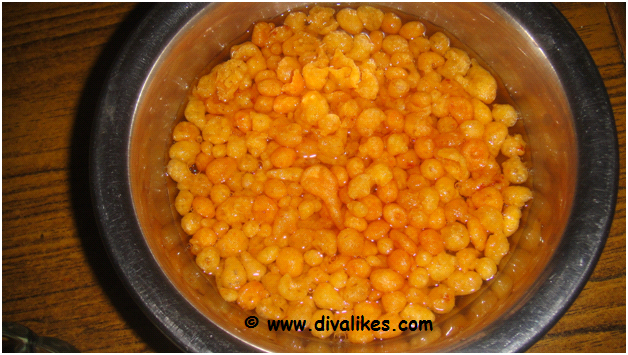 Soak the boondi in water for two minutes and squeeze the excess water out. Beat the curd well. 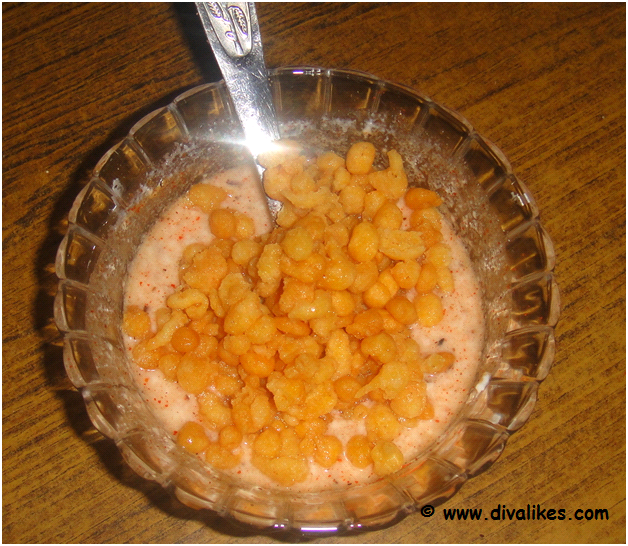 Mix the chili powder, cumin powder and pepper to the beaten curd. 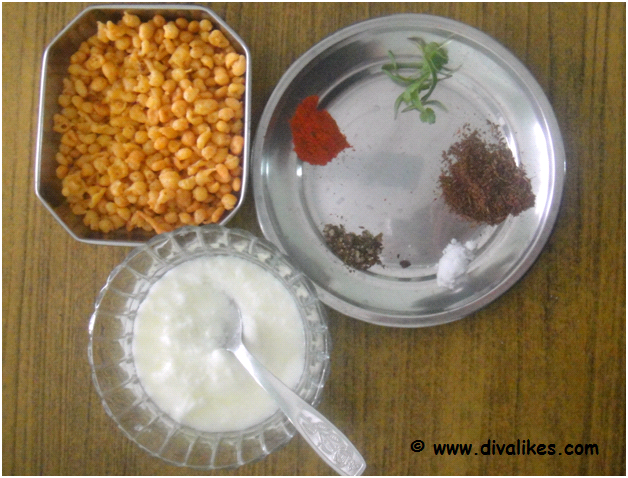 Add the required salt and soaked boondi. Mix well. Sprinkle the coriander leaves and serve. 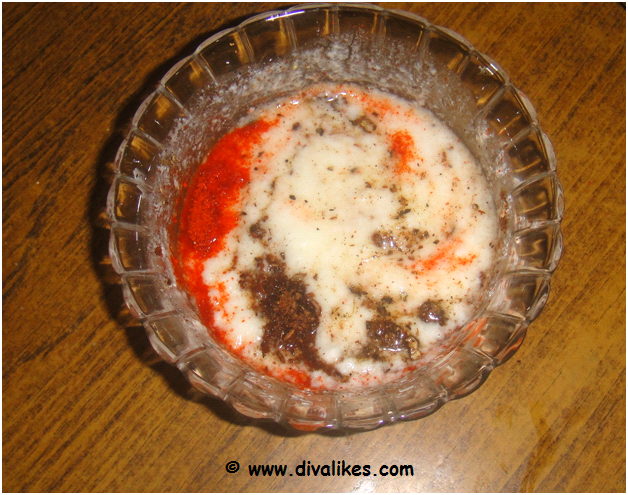 This raita can be served chill or at room temperature.